The co-owners, Jeremy Buckley, Eli and Carrie Mardock and Jeremy Wardlaw, each have come to recognize Lincoln’s potential through their various roles in the music scene itself. Eli, who formed Eagle Seagull and now runs a solo career, has gained experience touring with his wife, Carrie. Both have made numerous connections with tour managers and agents all over. Buckley is the founder of the Lincoln Calling festival and has experience in working at the Bourbon while Wardlaw has experience in managing Duffy’s. Collectively, they hold a solid resume of experience in the music industry and what it takes to manage a successful business and music venue. The space, which holds up to 500 people, will feature music four to five nights a week. Patrons looking for an alternate spin on classic food items can turn towards Vega for a bite, as well. “The menu is a new twist on classic dishes including hot dogs, wedge salads and soups,” said Eli who has been crafting the menu for two years now. Vega’s eccentric food options are just one of the ways the venue hopes to differentiate itself. And by staying true to their vision, they hope to provide a space where everyone feels welcome. “It’s not necessarily a competition between Lincoln and Omaha or the venues that reside in both. If we do a good job at promoting and offer a great experience, bands will want to stop in Lincoln and Omaha,” said Carrie. 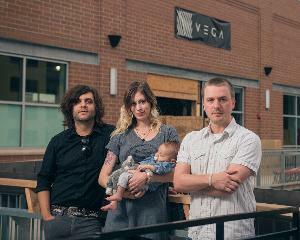 Vega is located in new West Haymarket development and will open its doors later this fall. For more information on the venue and its upcoming performances, visit https://www.facebook.com/VegaLNK.